Oliver Scarlin Chennells from Stellenbosch in South Africa has received AU$300 in prize money for entering this work Tidescapes in our 2017 Sheridan Evans Award for artworks relating to ocean pools. Oliver’s entry stated that ‘each painting is oil on panel, made on location under 3 hours. Every picture has a story, and no location or day painting was like another. I engaged with people every day while painting – and often, joined them for a swim after my work was complete. It was more than an exercise in making pictures. 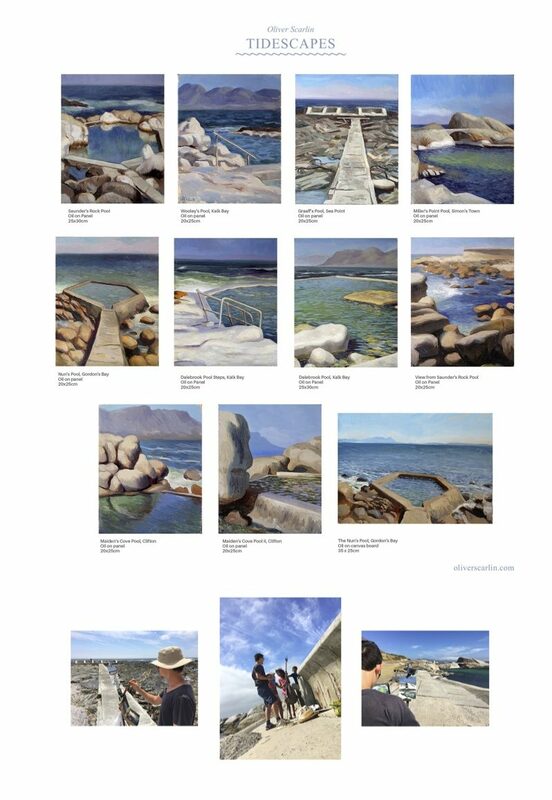 Painting on location became an act of sharing the spaces, and engaging with the ocean and the people around me’. 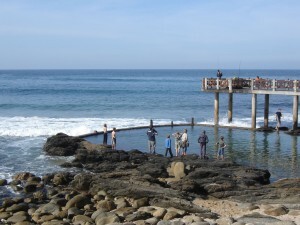 All into Ocean Pools Inc would like to know more about this South African pool. Please contact All into Ocean Pools Inc if you can offer more information about this pool. 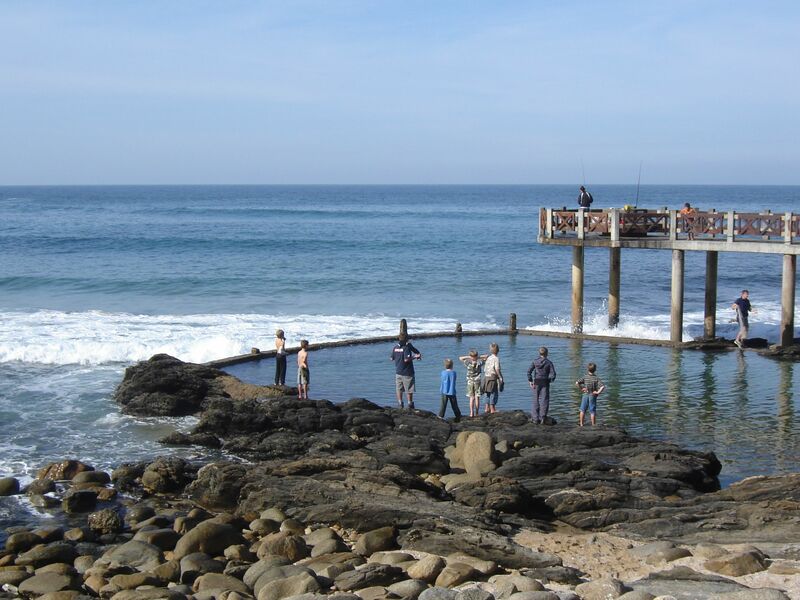 As shown below, the ocean pools in the South African provinces of KwaZulu-Natal, Eastern Cape and Western Cape are at latitudes comparable with the ocean pools in the Australian state of New South Wales (NSW). The old Sea Point Baths was a tidal pool quite unlike the modern Sea Point complex of non-tidal pools. A pool integrated with a concrete pier is a distinctive feature of the beach.